Home is not a place on a map or a spot to keep our bed. It is that one peaceful place where we are most ourselves and our spirit comes alive. The thought of home had been on my mind the previous week as my heart missed the Wisconsin Northwoods, a place of peace, comfort, lakes, and pine. I have never lived in Wisconsin, but childhood family vacations took me there often, so often that I have a familiarity with the area as if it were my hometown. But it is not. It is a place of childhood vacations, carefree days, and a sense of belonging. A simple dock and a quiet lake in northern Wisconsin. I have spent the better part of 20 years searching for a place that felt like home. Many places have given me that serene feeling at my core that sure felt like home, felt like I could stay forever, though oddly few of those places were ones where I actually lived. Most vacations spots had me daydreaming by Day 3 of the possibilities of moving to ______ (enter vacation spot here) and living the life I always dreamed. It seemed easier to picture myself somewhere else rather than in whichever town held my mailing address. Likely the repetitive days in the familiar were not nearly as captivating as the spontaneous days in the fleeting. Last week I thought about a little town in the Northwoods of Wisconsin where my family vacationed when we were children. It is a small town about an hour south of Lake Superior and nestled into the sweet-smelling pine trees of the area. The town is not large, and other than being perched on an island in a small lake, it is rather nondescript. It is a small town like so many others which should not hold any special powers unique to its city limits. And yet it does to me. What sets that town apart from thousands of others is the simple fact that it holds my childhood memories. It holds those moments of freedom, when life had no boundaries farther than where your little legs could take you, and where the world stopped turning for those few days a year you spent there. The older I get, the sweeter the memory. Looking down Myrtle Avenue, Brooklyn, New York. But I've felt this unusual pull toward several places in my life, though it is no surprise that each of these were felt on vacation. I remember standing in the early morning in Townsend, Tennessee, looking out over the Smoky Mountains layered with mist and solidly believing in that moment I wanted to live there. My first visit to Destin, Florida, was after my college graduation, and we spent the last two days gathering real estate guides and employment bulletins, determined we were going to move. 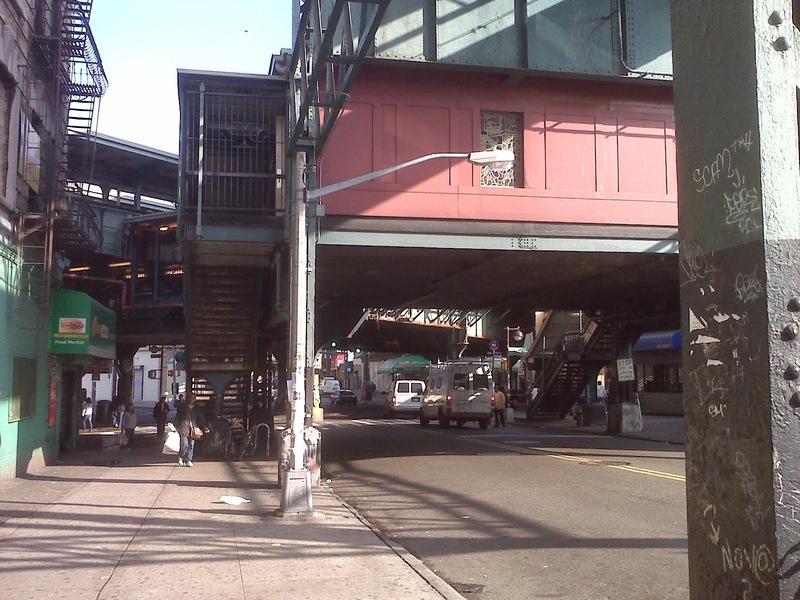 I stood below a train platform in Brooklyn, New York, and looked down the street thinking that I had never felt more comfortable than that moment, right there. I have never felt that much passion about any place I actually lived. Back in 1946, my father's family moved from the south side of Chicago to that small town in Wisconsin I described earlier. The change was quite an adjustment for my father, only a teenager at the time, moving from one of the largest cities in the United States to a town of less than 500 people. In the decades since then, that area of Wisconsin saw many families from Chicago move to the area, hoping to escape the trappings of big-city life. "They think they can get away from their problems by moving, but they just bring their problems with them," my father once said. His words come back to me anytime I have these wild ideas on vacation of packing my stuff to move to whichever place I am visiting. But whatever unease I may feel at the time in my daily life would inevitably come with me, making any new place just as uneasy as the former. While I thought of the Northwoods last week, I did indeed wonder what it would be like to live there. The old habit of wishing to move to the vacation spot is a tough one to shake. Yet as the years click off, I find more truth to my father's words, and realize that that sense of home I have searched all my life is not a place on a map, but rather is a spot of contentment within me. Perhaps that is why completion of the writing prompt came so quickly to me -- I am finding my way to that home. Years ago, Jim Harrison wrote of the special draw of childhood vacation spots in an article where he cautions parents to choose vacation destinations carefully because that is where the children will likely chose to live as adults. The memories of their youthful happiness often draws children back to those places, and the parents will follow in their waning years. This, he describes, is the reason he and his wife now live in Montana, having moved from Michigan. They took their kids to Montana for vacations, then the memories summoned the kids to move there as adults. Jim and his wife soon followed. Apparently my occasionally inkling to move to my vacation spot is reality for others. The definition of home can have many variations, perhaps as many as there are people. The only thing I know for sure is that home should be a place where one is free to be their most authentic self, where no masks are worn to shield from judging eyes, and where the spirit awakens. A place such as this may only reside deep within the mind, but as long as it exists, we always have a spot to call home. Glad you stopped by, Debbie. The older I get, the more strongly I feel these words. :-) Thanks for reading (and for your comments). Interesting, Rita! I especially liked the point about kids wanting to settle down where the family vacationed. That's some food for thought.